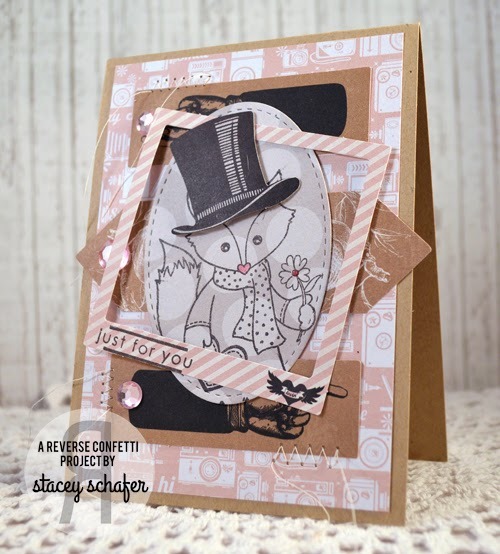 I have soooo much inky goodness to share with you today! First, our September Color Challenge is coming to a close very soon. 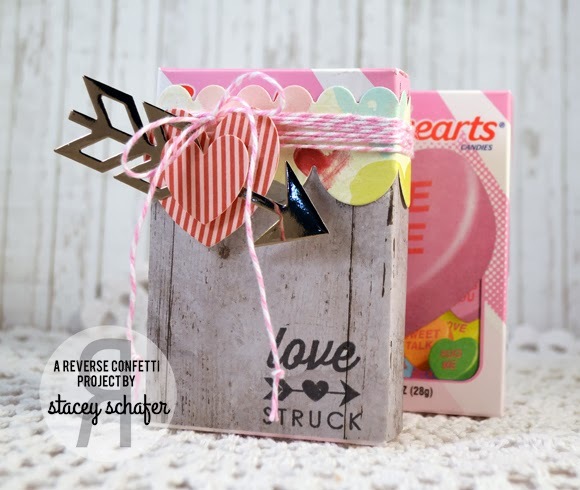 There are just a few more days to get your project submitted for a chance to win a $20 gift certificate to the Reverse Confetti store. All the details and the link list to upload your project to can be found right HERE. 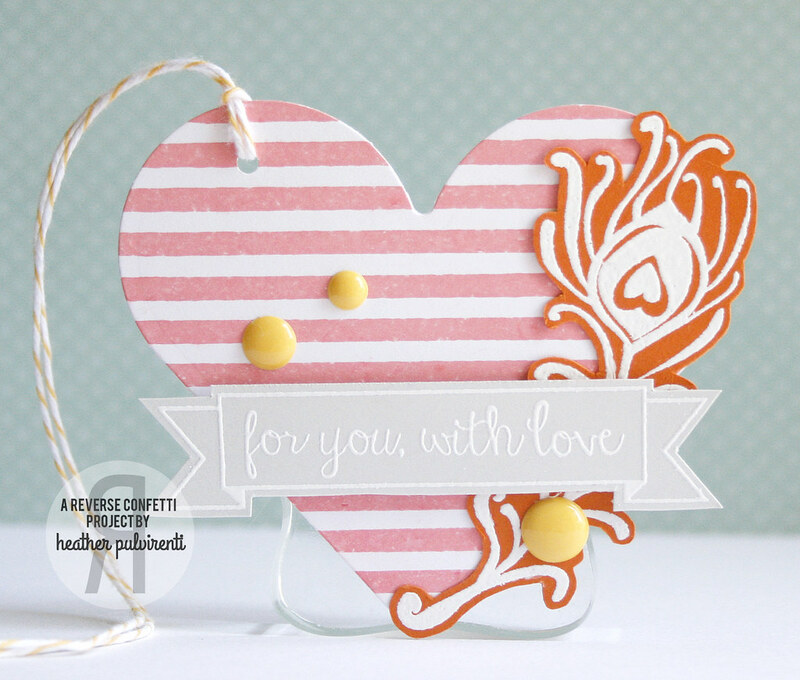 And, a little announcement…this is the last color challenge for Reverse Confetti. Why? Well, to be honest, my heart just isn’t in this challenge. I started SKETCH FOR YOU TO TRY years ago on my old blog (now defunct since I didn’t update my php) and I want to focus on that being the challenge for Reverse Confetti. I promise there are some fabulous sketches coming your way! Stay tuned, the next one is coming up October 1st! OH MY GOODNESS!! HOW CUTE IS THIS!?!? 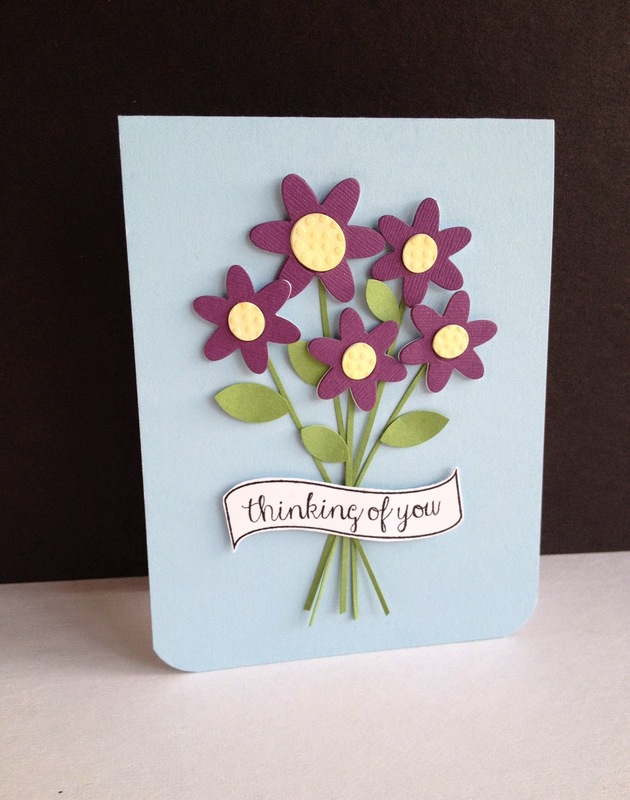 This scrappy card is perfect for sending a sweet hello to a friend. 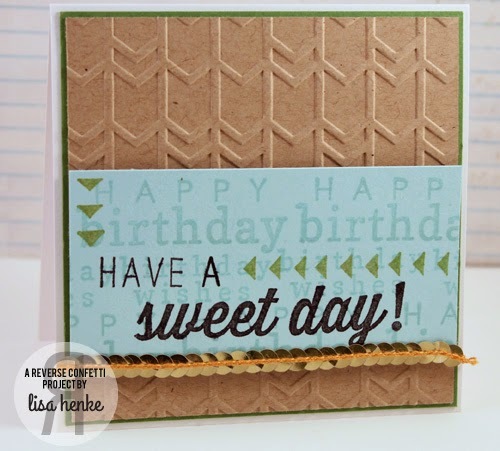 The gold cardstock is cut with the DOUBLE EDGE SCALLOP BORDER die. I love the glimmer of the gold, which I mirrored with the sequins. 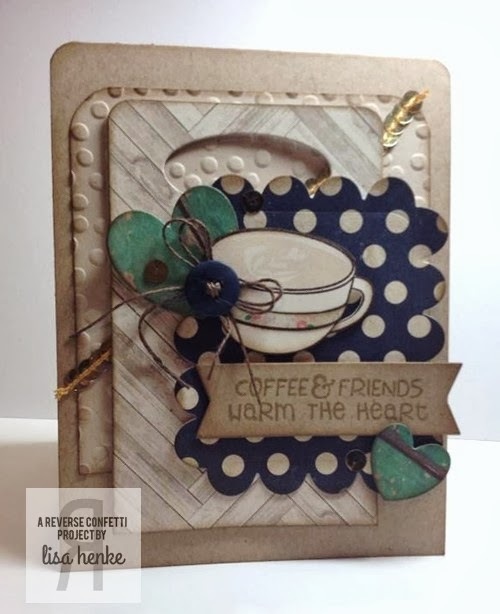 The main panel consists of the rounded rectangle from the CLASS ACT Confetti Cuts die set, CHEVRON PRETTY PANELS Confetti Cuts and the heart from the LOVE NOTE Confetti Cuts die set. 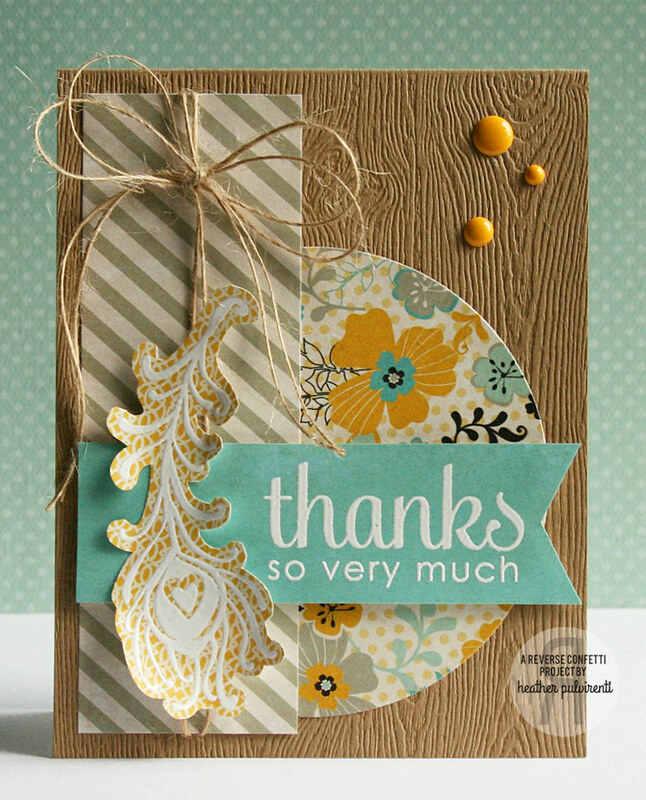 The “oh hello” sentiment from the ARROWS ‘N ELEMENTS set is stamped with white pigment ink on the navy panel. 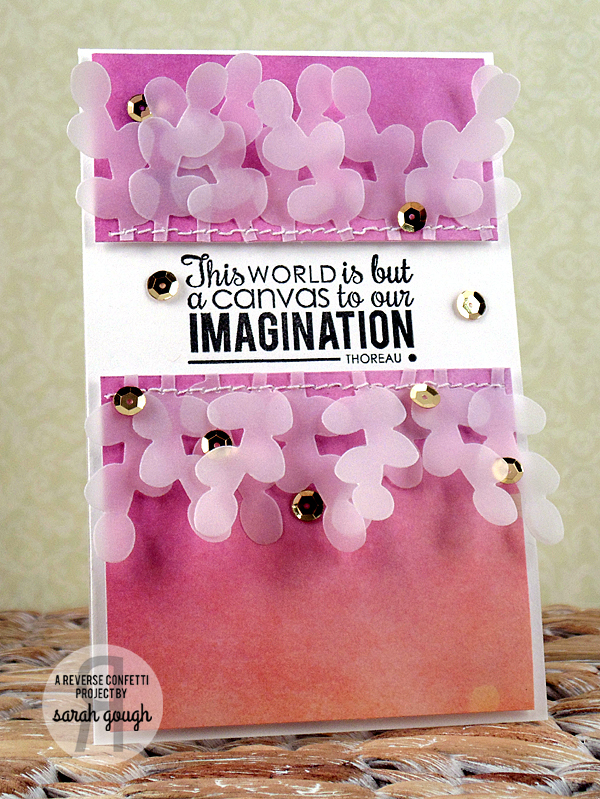 The Confetti Crew has come up with some spectacular inspiration using this palette! 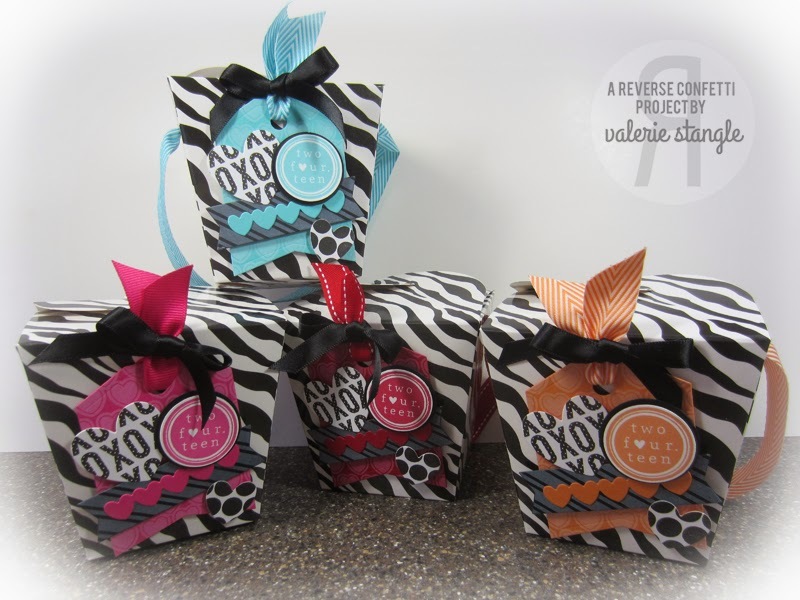 Link up your AUGUST COLOR CHALLENGE entries below for a chance to win. Hi, my name is Monika Davis aka buzsy. I live in beautiful New Hampshire with my two boys and supportive hubby. I am a SAHM. I was born and raised in Hungary, but have been living in the US for 18 years. I’ve been stamping on and off for about 13 years. It’s my passion, my hobby, and my lifestyle! Through crafting I’ve made so many wonderful friends. It is a wonderful community with so much love and positive energy. I’ve been on a number of Design and Challenge teams, and have been published in a number of magazines. I am so honored to work with the Reverse Confetti team! I just *love* how she says that it is part of her lifestyle! Isn’t that the truth for so many of us? For me, it’s what started as a hobby, grew into a little bit more when I met more like-minded creative people and from there it grew and grew into more than I could have ever imagined! Hello ‘Fetti Fans and TGIF! Have you been getting crafty this week? 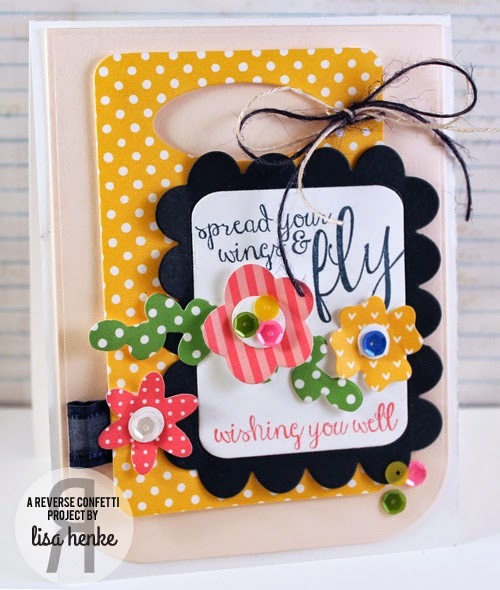 Be sure to share your Reverse Confetti creations on our Facebook page and if you’ve played along in our challenges, be sure to link them up (click on color challenge button on sidebar for our latest challenge…and chance to win)! We LOVE seeing your RC creations! Friday brings us the WEEK IN REVERSE where we take a peek back at what the Confetti Crew has been up to this week. Hello and Happy (Good) Friday! I wish you a wonderful Easter weekend! I am looking forward to family time and a little time in the studio getting inky and having fun getting prepped for our birthday release which is just around the corner (May 8th). There will be lots more on that in the days to come, but for today we are taking a look back at what the ever-so-talented Confetti Crew has been up to this week in the WEEK IN REVERSE. 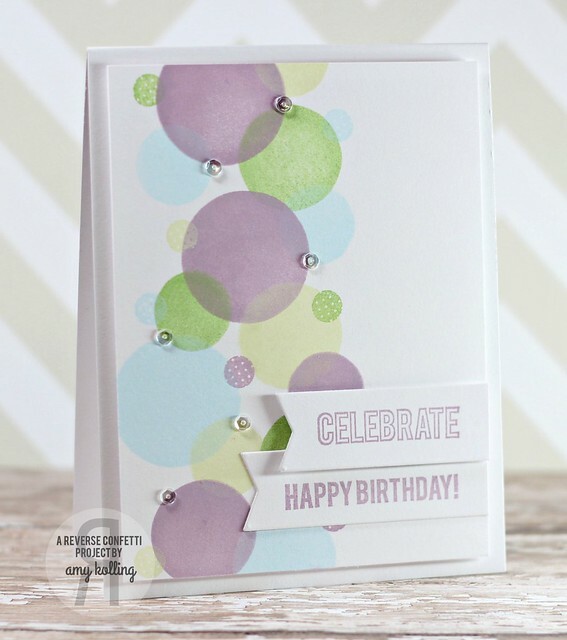 The April Color Challenge is on (click HERE for all the details) and the Confetti Crew knocked it out of the park with their samples! Don’t forget to play along for a chance to win a gift certificate to the Reverse Confetti store…just in time for the new release! Reverse Confetti is also the sponsor of the current Curtain Call challenge. You can find all the details about the challenge, how to enter (and win!) HERE. 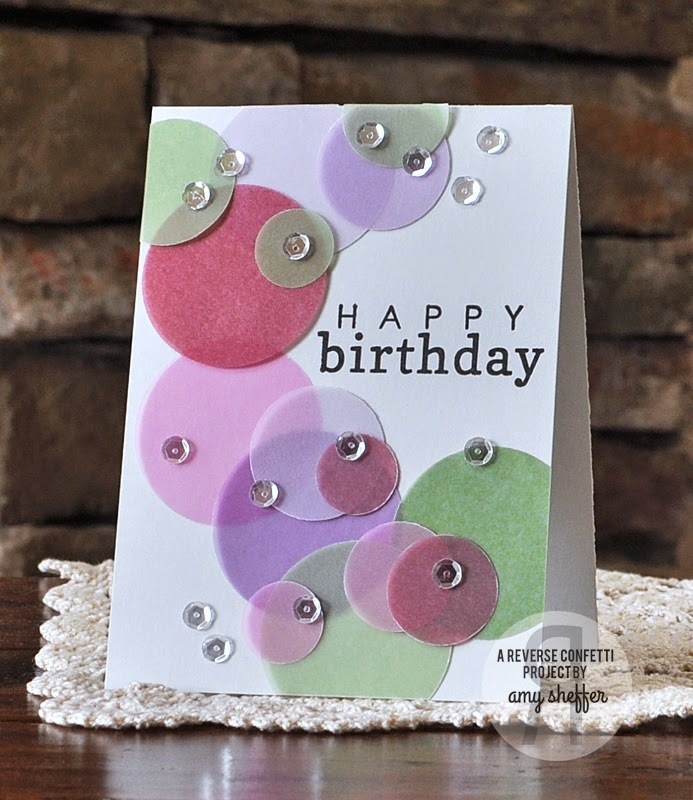 Even more Reverse Confetti inspiration! I hope everyone has fun weekend plans ahead. It’s more of the same here for the del Muro household…these boxes just will not end! Of course, a little exploring time and R&R are most definitely in the works, as well as some time to GET INKY! I had a chance to create yesterday and it felt so good to play again! I’ll be sharing what I made next week. Right now it’s time to take a look back at what the Confetti Crew has done this week in the WEEK IN REVERSE. 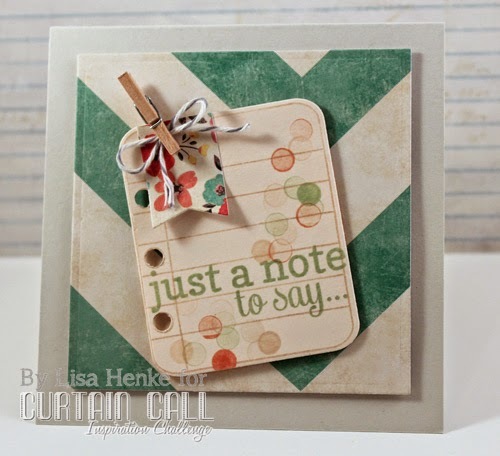 Lisa did a great job of combining sets to create this fun, sports themed card. 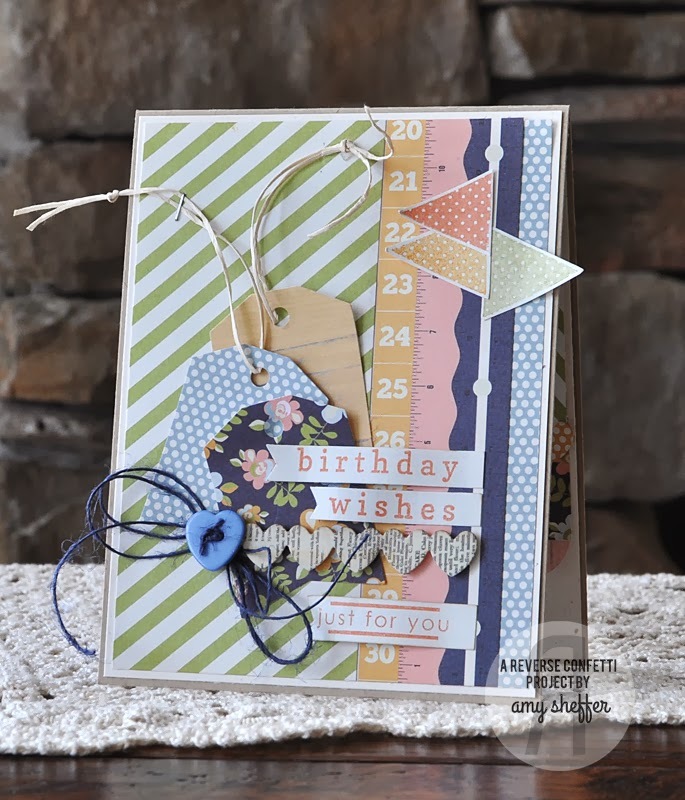 Val had fun mixing and matching a variety of Confetti Cuts die sets to create this darling journal for a lil’ friend of hers. 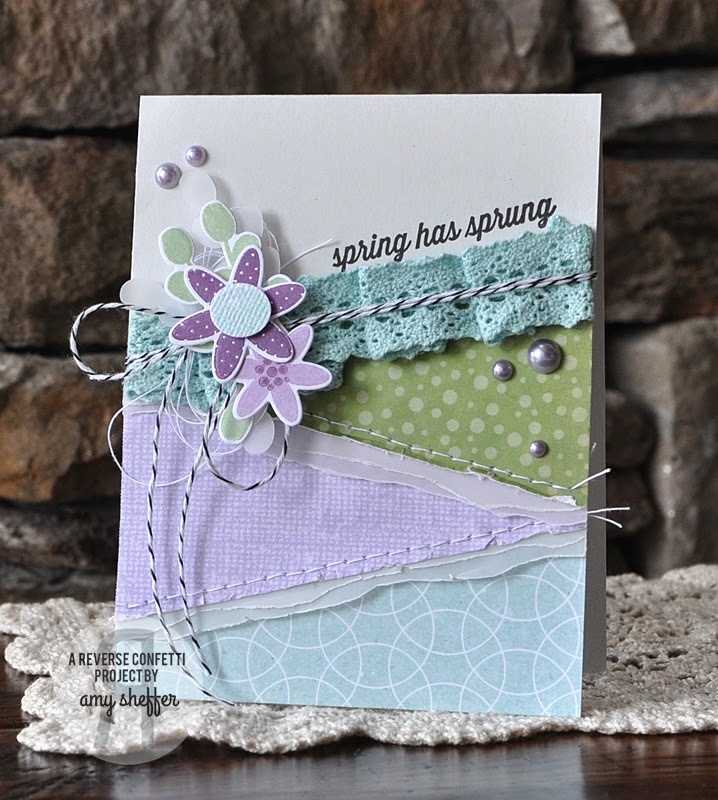 Val also created this card that I am swooning over! 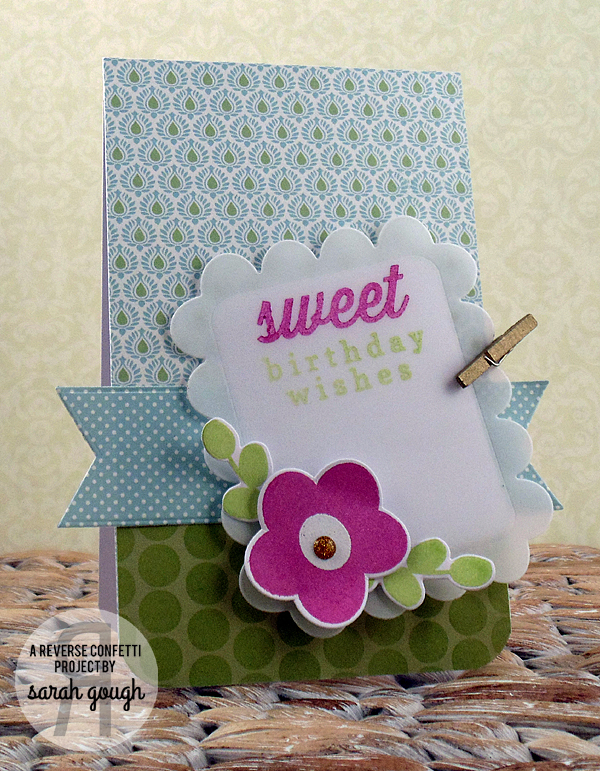 Leigh’s card is so soft and elegant. I love the multi-colored feather. 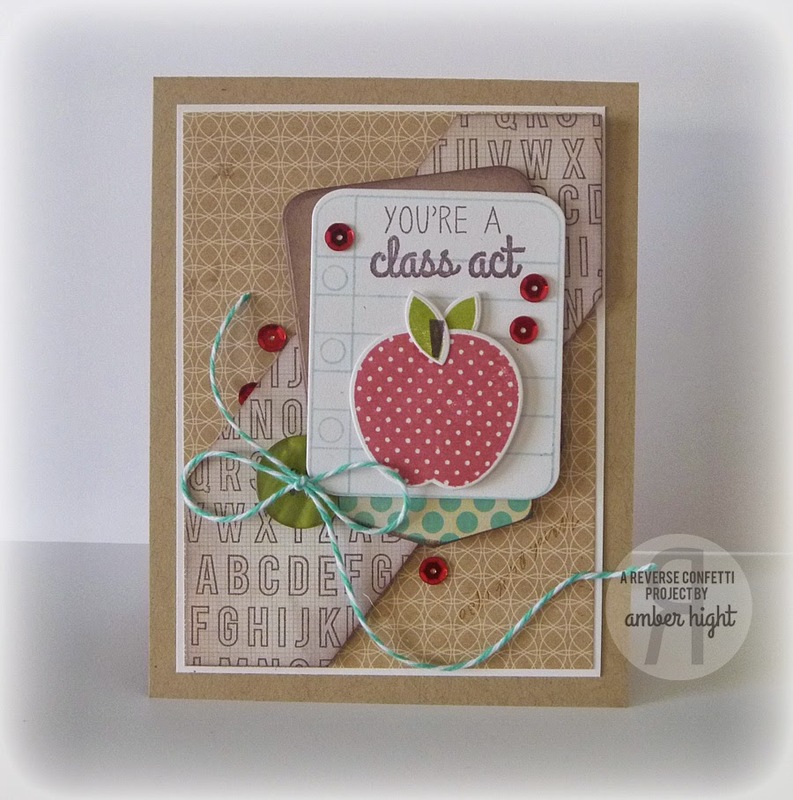 With Teacher Appreciate just around the corner, Amber is the perfect muse with this card! Sarah’s card is a showstopper! 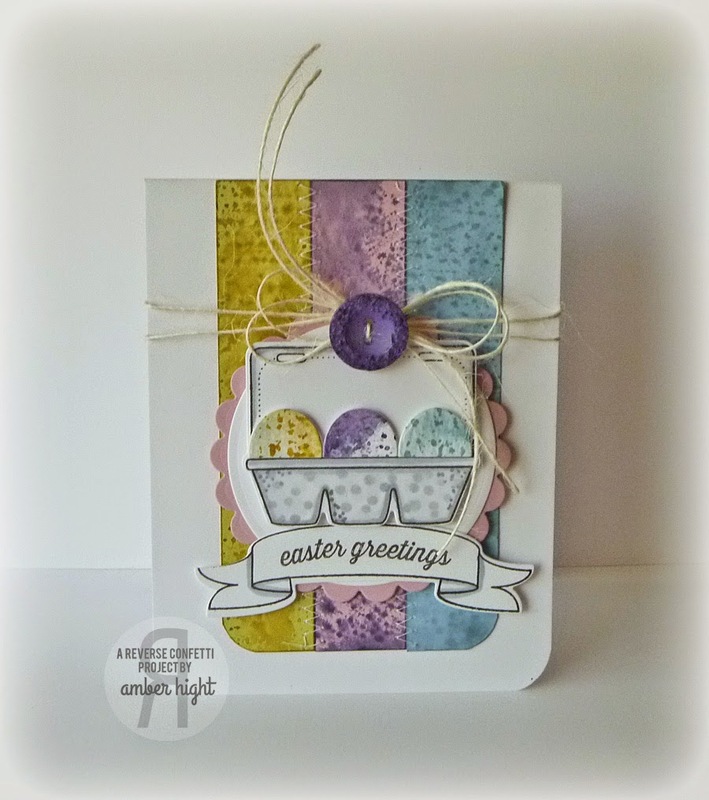 Heather never ceases to amaze me with her use of PEACOCK PRETTIES (and embossing powder)! 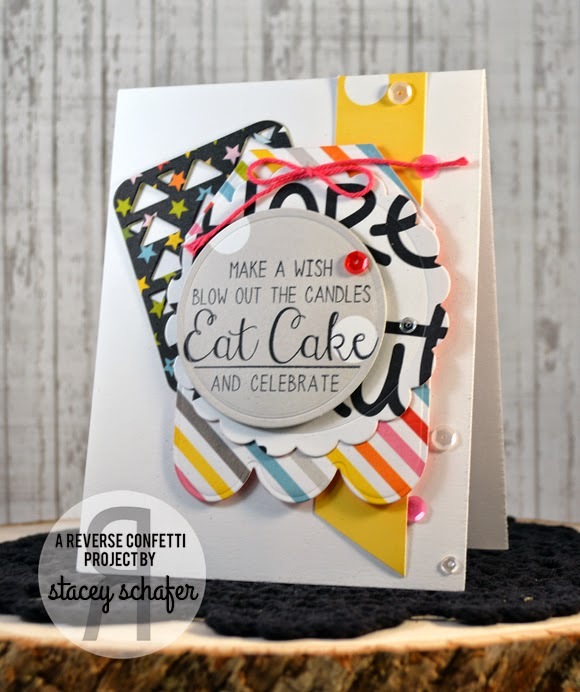 Stacey’s card is fun and full of color! I love the combo of stamps here! I love the feather image in the PEACOCK PRETTIES stamp set — it’s so fun & beautiful! I was trying to figure out how I could “colour” it in so that the circle, the heart and the body of the feather were all different colours. I decided to try doing this with some Pigment Pearls. I stamped my feather onto some vellum with the Perfect Pearls medium. Then, with a brush, I coloured in each section, using a different colour of pearls. I decided to make a different feather and changed up the colouring slightly. I fussy cut them both out by hand. Then, when assembled my card, I used the border stamp in the Peacock Pretties set and used the same technique to colour it in along the bottom of my card. I just love how it shimmers in the light! I stamped my sentiment (from PAPER CRANE), which ties everything together nicely. Hello and TGIF ‘Fetti Fans! I hope you all have some fun weekend activities planned. 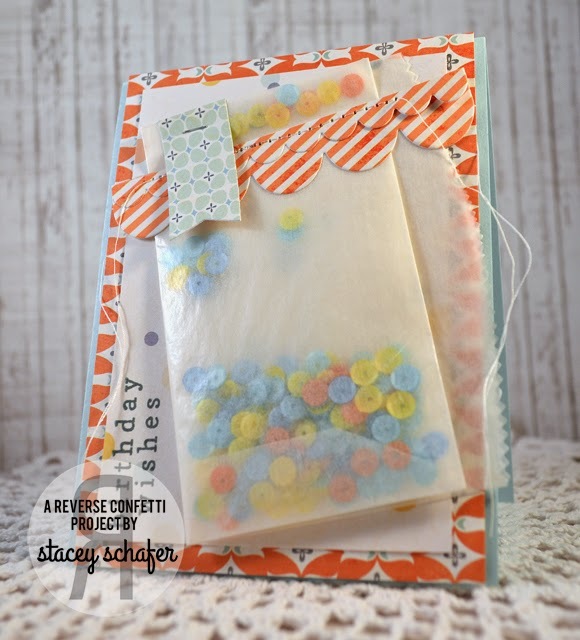 If you are local, be sure to stop by The Little Blue House booth at the Scrapbook Expo for a Reverse Confetti Make-n-Take on Saturday between 10-1. See you there! 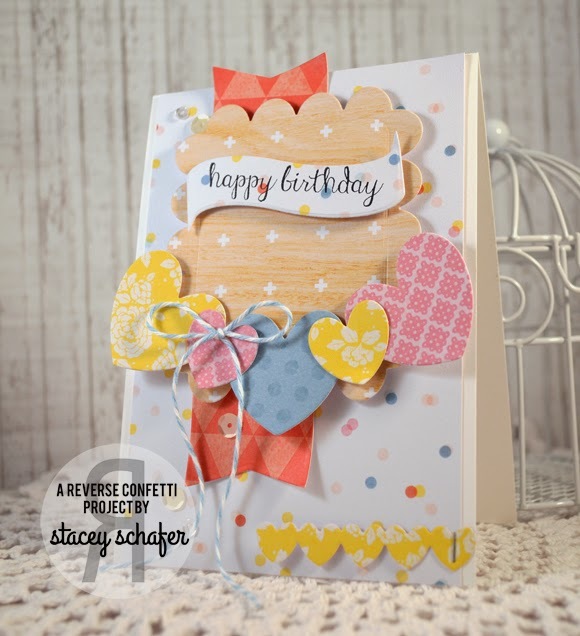 It’s Friday and time for Week in Reverse where we take a peek back at what the fabulous designers that make up the Confetti Crew have been up to with their Reverse Confetti stamps! Heather knows how to rock clean and simple. I love the details and textures used here. 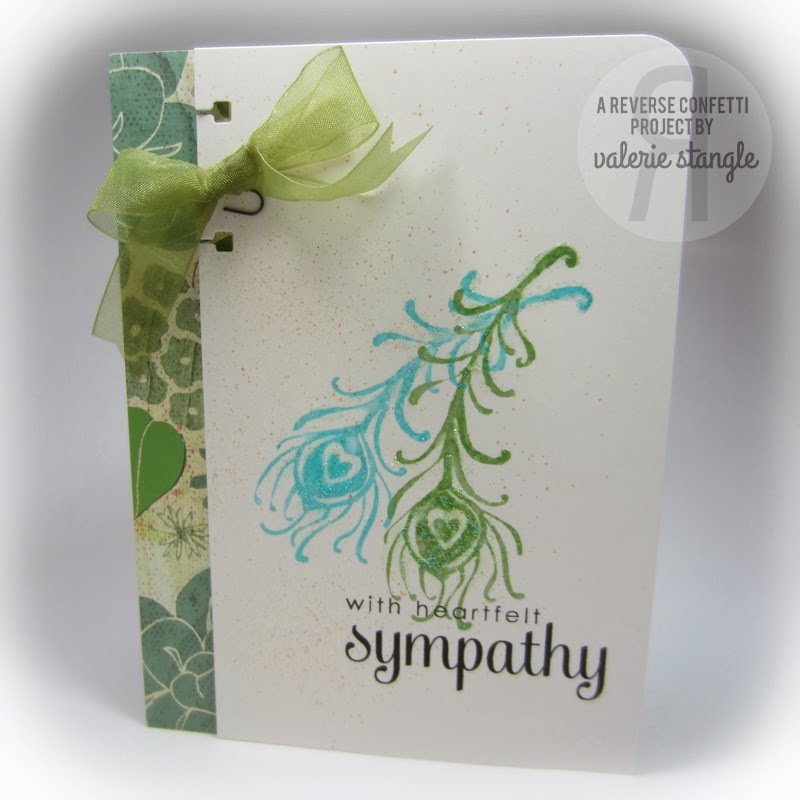 I just love Amy’s use of a variety of coloring mediums on her card. 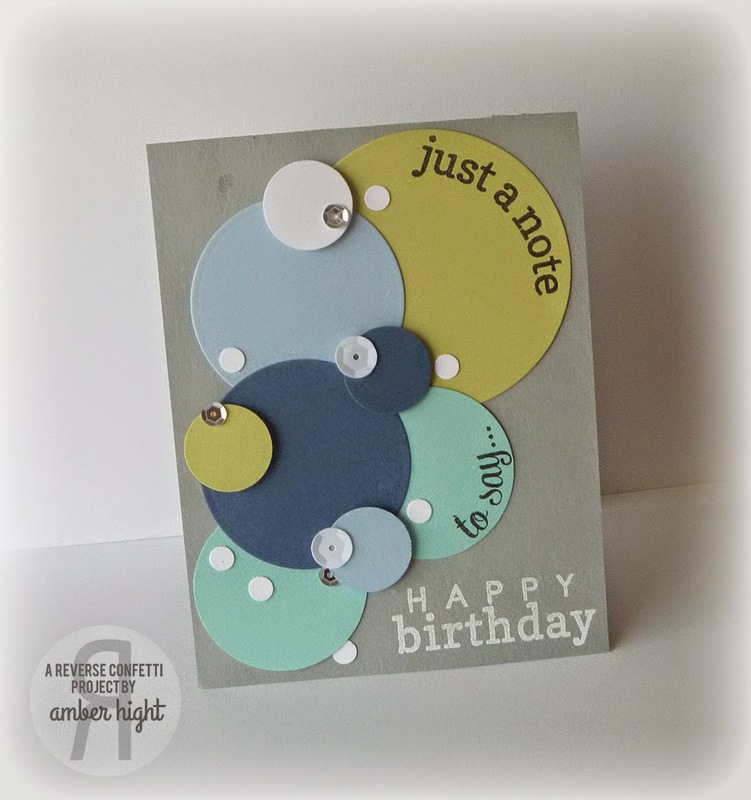 Such a fun design and color combo from Lisa! And another awesome card from Lisa! The new color challenge is live! 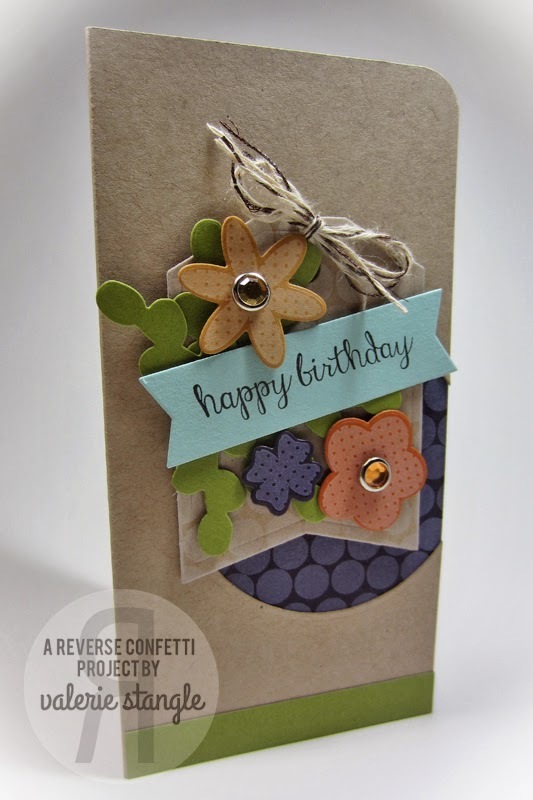 What will you make for a chance to win a $20 gift certificate to the Reverse Confetti store? Click on the graphic on the sidebar for all details and link list. Here are some awesome samples to kick-start your creativity using this color palette. 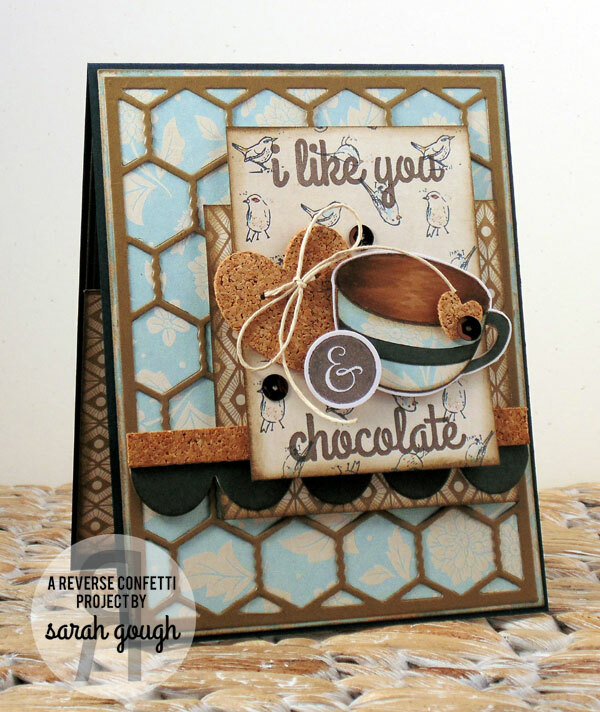 I was amazed how many sets that Sarah used to create this fabulous card. 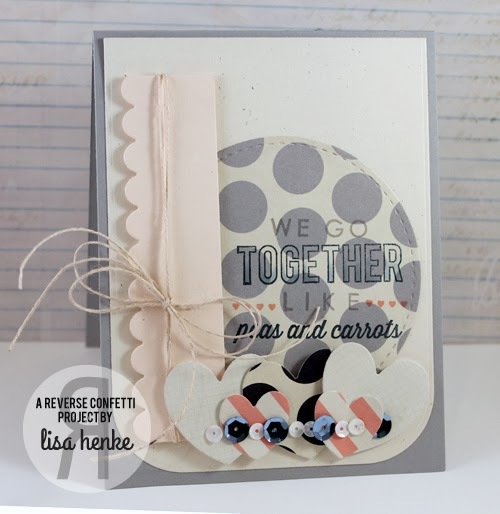 I love that it’s so easy to mix and match Reverse Confetti stamps (and, yes, we do that on purpose)! It’s amazing how differently people use this color palette. 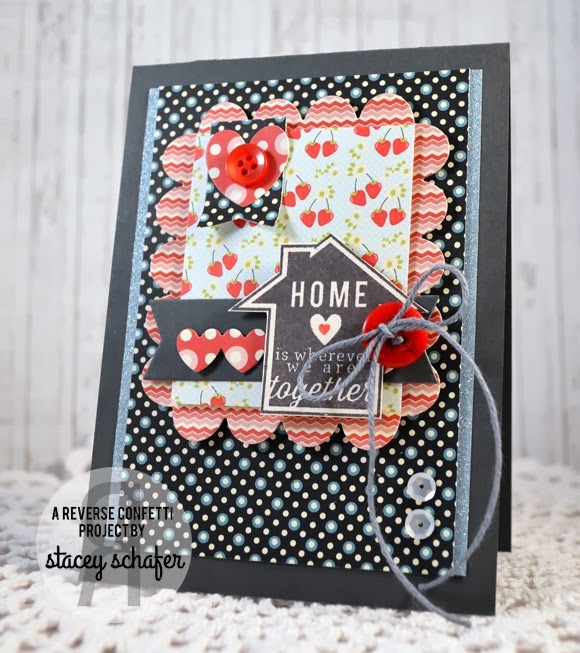 I love the darker base of this card from Stacey…makes the light blue and cranberry just POP! In contrast, Leigh’s lighter base is equally as powerful…and beautiful! And, for your viewing pleasure, a video from Savannah. Are you local? Come join us tomorrow from 10-1 at the Little Blue House in Keller for a sweet make ‘n take! I’ll be blogging about it next week, but there’ a sneak peek of it on our Facebook Page. Being that it is Friday, it’s time for WEEK IN REVERSE where we take a peek back at what the Confetti Crew has been up to! 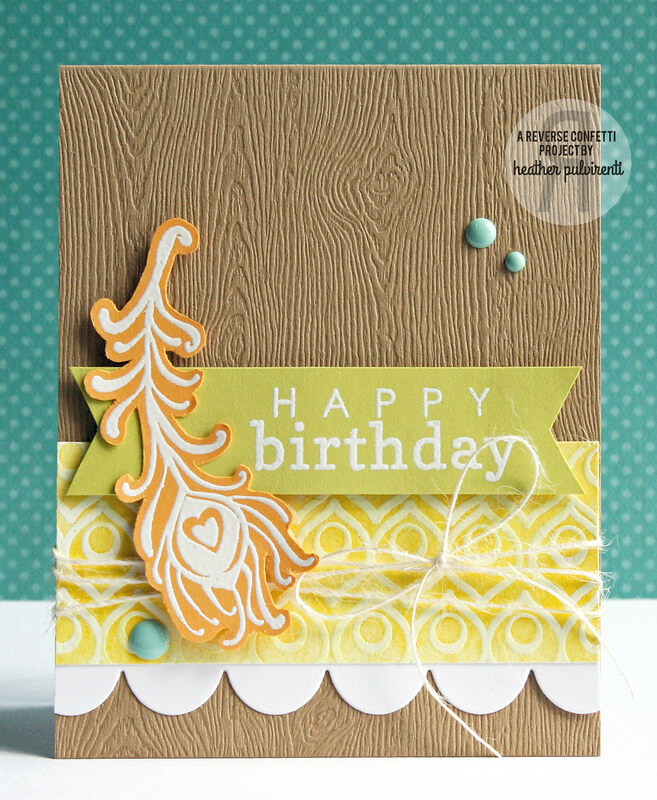 Sarah’s nautical themed card using HAPPY HARBOR; TAG ME and LOVE NOTES Confetti Cuts is just darling! I love how she added the tag on the face of her card! 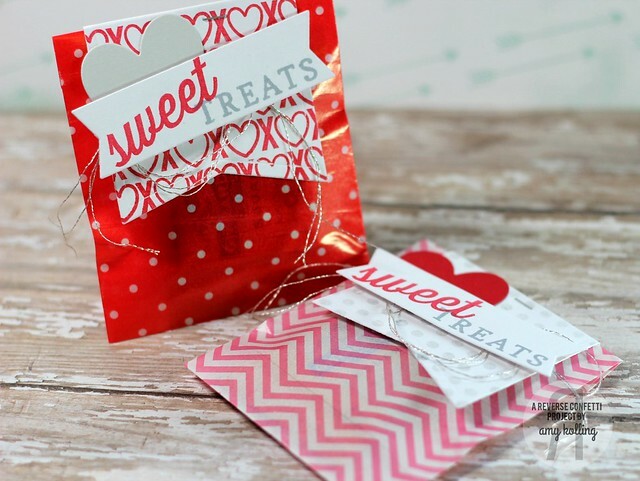 Amy K.’s Valentine treats using TAG ME Confetti Cuts, LOVE NOTE Confetti Cuts, WHOLE LOTTA HEARTS and SWEET THING are just as sweet as can be!